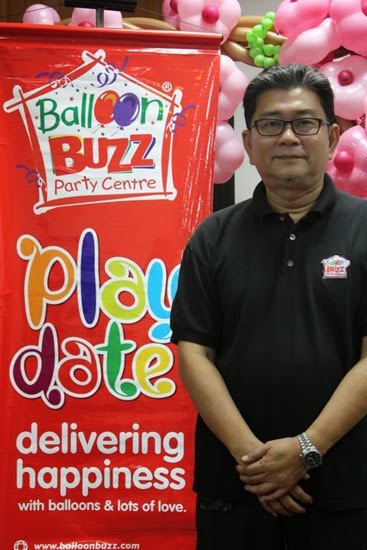 Balloon Buzz, a pioneer in introducing the concept of a party shop in Malaysia realised that one of the joy elements during childhood is balloon. 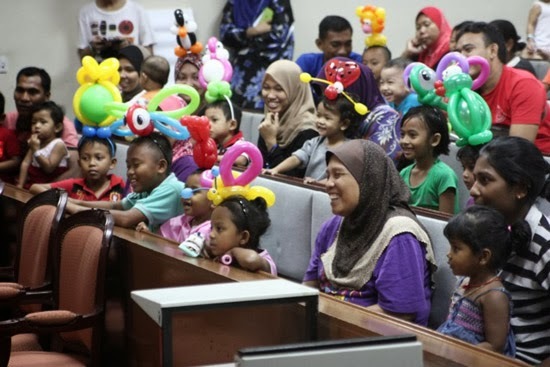 With this in mind, Balloon Buzz is determined to bring the smile back to the face of every single child at the Paediatric Institute of Hospital Kuala Lumpur (HKL) initiated a Play Date Session to deliver joy to sick children with animated clown performance and creative ambience made out of balloons decor. 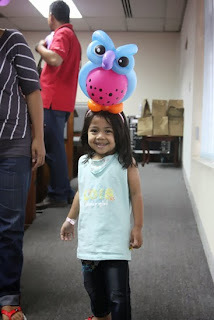 This is the 4th Play Date session to be conducted at Hospital Kuala Lumpur. 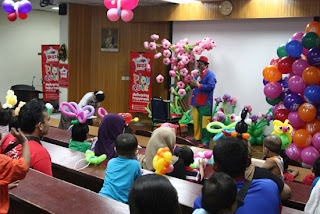 Balloon Buzz Party Centre® (Balloon Buzz) believe that the candies, clown and balloons are symbols of happiness for children. Pain, needles, and not able to run around to play, these are things that make the smile on any child’s face disappear instantly. With balloons, gifts, clowns and puppets, Balloon Buzz initiated their 4th Play Date at Hospital Kuala Lumpur. 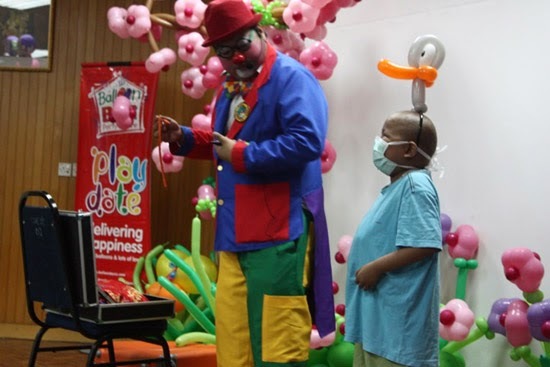 Play Date is an initiative by Balloon Buzz with the objective of delivering joy to sick children at Hospital Kuala Lumpur with animated clown performances and creative ambiance made out of balloons décor. “Creating an interesting and unique party atmosphere is our forte. From all the parties we have set up for children, we have noticed how they love playing with the balloon characters that we designed for them. But not all children have the privilege of such joy, so we decided to extend this joy to the less privileged, especially children who are sick and bed ridden. Play Date is about reaching out to the sick children with balloons, gifts and clown performances. 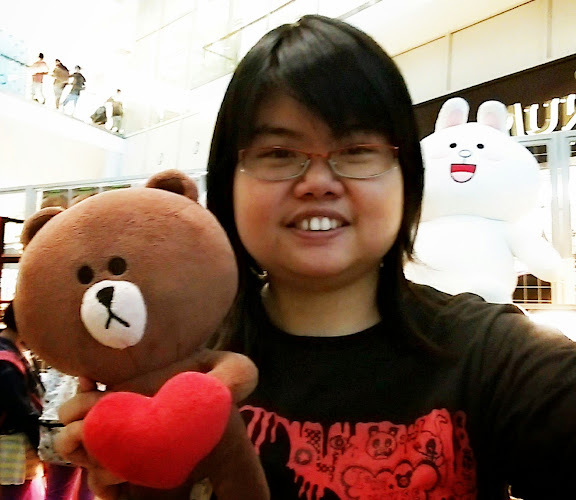 We hope our little gesture can bring smiles back on their faces and help reduce the trauma of being sick,” said Mr. Hew Yoon Loong, Director of Balloon Buzz Party Centre. Hospital Kuala Lumpur has the largest Paediatric ward in Kuala Lumpur. The ward can We started this initiative since May 2013 and we aim to make this a long-term initiative from Balloon Buzz. This is the fourth session of Play Date hosted by Balloon Buzz at Hospital Kuala Lumpur. We have learnt a lot about these children from our previous Play Date sessions. One of the challenges in conducting Play Date is to keep sick children entertained and be children again. We have learnt to make our session short and fun, using balloons as props and tools to keep them engaged in the activity. Balloons are like a catalyst in lighting up children’s imagination. We designed our ambiance with balloons set up especially for children to pick up and start interacting with them. After the Play Date session, Balloon Buzz team will go for a ward visit to distribute balloons to children who are bed ridden. We want to make sure no one is missed out. 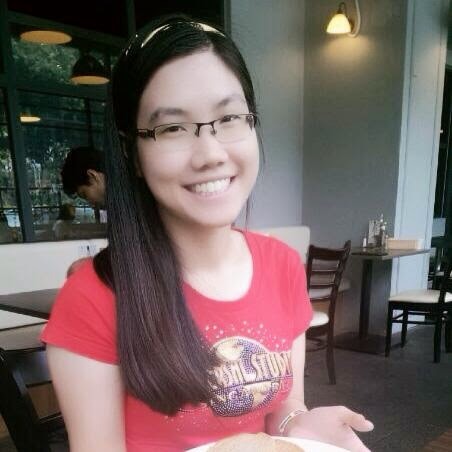 The smile on children’s face is the reward to us and keep us going with Play Date,” Mr. Hew continued. 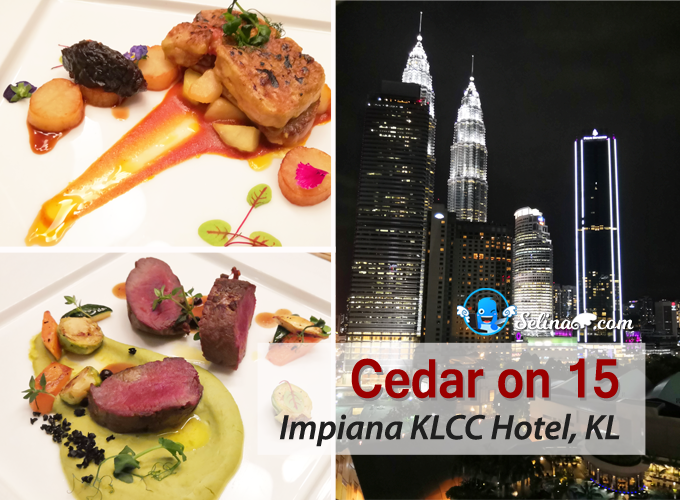 During the event, Hospital Kuala Lumpur’s auditorium was dressed up in a garden theme with a Spring blossom tree and butterflies hanging from ceilings. 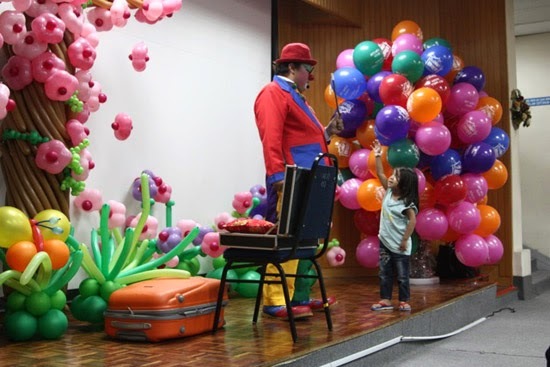 Laughter and cheers filled the room while the clown engrossed the children with his magic tricks, puppets and balloon twisting. They were about 50 children accompanied by their parents, nurses and doctors at the fourth Play Date session. Party packs and balloons come with a special “Get Well Soon” message from Balloon Buzz were also distributed at the end of the session, a note of encouragement crafted especially for the parents of those sick children. As to-date, Balloon Buzz has conducted a total of 4 Play Date sessions. 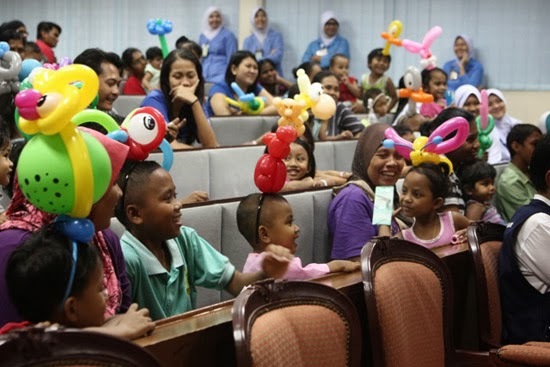 While the event successfully delivered joy to more than 200 children suffering from different illnesses, it also lifted parents and the medical officers at Hospital Kuala Lumpur when they see children smiling and playing.